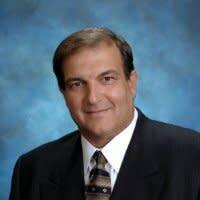 Bruce Bommarito re-joined Caesars Entertainment Corporation in 2013, as Corporate Vice President of International Marketing. His mission was to build a team to expand the Caesars Brands internationally with a focus on building the Caesars Hospitality Brands in Mainland China from the bottom up. In 2014, Caesars Entertainment launched its first website that’s visible in China obtaining ICP certification. Mr. Bommarito led efforts to establish the first official WeChat account in 2015. By September 2015, Caesars Entertainment became the first US company that launched hotel booking and payment direct on WeChat for over 24,000 hotel room in Las Vegas. Prior to this he was the Executive Vice Chairman, and Chief Operating Officer of the U.S. Travel Association from 2006 through 2011. During his tenure as COO, he oversaw the creation of “The U.S. China Tourism Leadership Summit”. The event has been recognized both at the U.S. China Economic Meetings and by Chinese President Hu Jin Tao at his White House press conference. Jeff Fish is the Co-Founder and Global Head of Client Strategy at The Momentum Group. He enables TMG clients to launch successful China marketing campaigns leveraging WeChat. 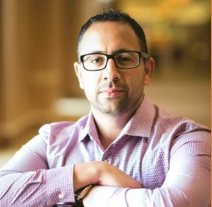 Jeff has worked with a variety of organizations, from hospitality to financial services, and is a frequent speaker on the implications of content marketing at global scale. He has a seasoned background in social networking, content marketing, mobile strategy and emerging technology. Thomas P. Glynn was appointed as Chief Executive Officer of the Massachusetts Port Authority in November 2012. As Massport’s CEO, Mr. Glynn oversees the 1,300 person agency that owns and operates Boston Logan International Airport, Hanscom Field, Worcester Regional Airport, the Port of Boston’s Paul W. Conley Container Terminal and the Raymond L. Flynn Black Falcon Cruise Terminal. Additionally, Glynn oversees real estate holdings in South Boston, East Boston and Charlestown. A financially self-sustaining public authority, Massport generates its own revenues to support an annual $700 million operation. Under Glynn’s leadership, Massport has expanded Boston’s global reach by increasing the number of nonstop international flights from Logan Airport, advanced Boston’s working maritime tradition by protecting thousands of good paying blue collar jobs connected to the Port of Boston, and demonstrated a commitment to being a good neighbor to those who live and work near Massport facilities by increasing community engagement efforts. Mr. Glynn is the former Chief Operating Officer of Partners Healthcare Systems, the Commonwealth’s largest network of teaching hospitals and neighborhood health centers. Since leaving Partners in 2010, Glynn has worked as an Adjunct Lecturer at Harvard University’s John F. Kennedy School of Government. Mr. Glynn has previously served as General Manager of the MBTA, as well as Deputy Secretary of Labor for the Clinton Administration and Deputy Commissioner of Public Welfare in Massachusetts. 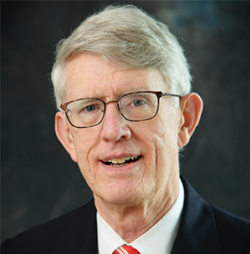 Mr. Glynn is a fellow of the National Academy of Public Administration and a former board member of the Council of Excellence in Government. He has a Bachelor of Arts degree from Tufts University and a PhD from Brandeis University. Kathryn Green is an experienced marketing professional who has worked across three continents for household brands. Over her career, Kathryn has developed deep experience building digital, marketing, advertising and public relations strategies for companies across diverse sectors. 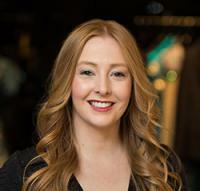 Currently, Kathryn is a Marketing Director at Saks Fifth Avenue, building and implementing strategy for the Boston region. Originally from Australia, Kathryn received a Bachelor of Communications from Edith Cowan University in Perth, Australia, and a Master of Marketing from Hult International Business School in London, UK. 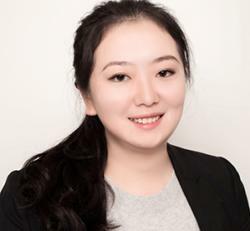 Christina Lin is Marketing Director in China GNICS responsible for designing the network benefits, organizing premium events and defining value proposition of 50+ products issued by different partners in China. Before fully focusing on leading the marketing team, Christina also looked after all commercial products in China for 2 years. Christina joined American Express Taiwan in 2007 in a role of Credit Card Product Manager (B30) responsible for all credit cards and launched/ relaunched the Formosa Regent Hotel Cobrand card and Singapore Airlines cobrand. In two years, Christina was appointed to look after premium charge products where she was the project manager of Centurion launch in Aug. 2010, which made Taiwan the 18th Centurion market. With USD5,000 annual fee plus additional USD5,000 one-time joining fee, Taiwan Centurion Card became the most expensive card on earth. In 2011, Christina applied the role of Marketing & Strategy Manager (B35) for Global Corporate Payments (GCP) and led the one and only co-brand corporate card – American Express Cathay Pacific Corporate Card launch in Taiwan. Between Taiwan and China American Express eras, Christina joined CitiBank China in a role of Head of Co-brand Credit Card Product in 2013 for almost a year. Prior to Taiwan American Express, Christina spent couple years in HSBC and worked for Advertising Agencies in both Taipei and Los Angeles, USA. Christina graduated from FuJen Catholic University with a Bachelor degree in Advertising and Public Relations and received Master Degree of Communication Studies from California State University, Chico. 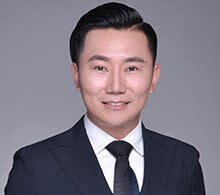 Denny Xia is the General Manager at East West Marketing. He has over 10 years experience in outbound tourism marketing, focusing on China and United States market. Growing together with the industry, his superior market analysis and strategy ability has been well developed. With keen insights and deep understanding of China outbound market, Denny and his team has developed prospective and comprehensive in-market strategies as well as executed significant projects for over 12 U.S. destinations. Sharon Xu started working in the tourism industry in 2012 as a travel writer who shared her journeys over digital and print media. 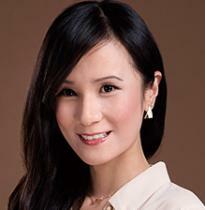 She joined the Greater Boston Convention & Visitors Bureau’s Chinese marketing team in 2014. Since then, Sharon has published a Chinese guide book on Boston, and established the GBCVB’s Chinese social media platforms. Sharon is now developing a Chinese marketing program for GBCVB members, and creating a Boston Welcome China program with WeChat. Eagle Yi is responsible for WeChat Ecosystem expansion and partnership development outside of China at Tencent America. Eagle has over 16 years of experience and expertise in the technology industry. 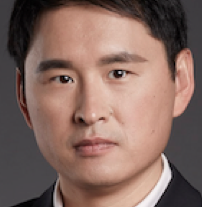 Before he joined Tencent, Eagle served in Intel and FedEx in various internet product and solutions development management roles. Eagle co-designed the world’s first mobile tracking app when working at FedEx Singapore 2000-2002. Eagle has a Bachelor Degree from Tsinghua University 1998, Master Degree from NUS 2000 and Studied in Ph.D. program at UC Santa Cruz 2002-2004.